Can you believe it's the second last day already? 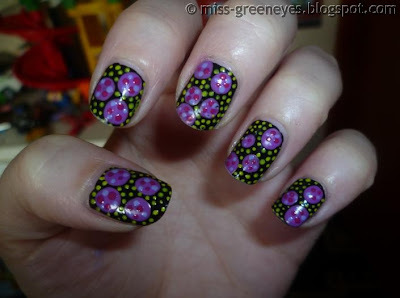 The last two weeks have flown by and I'll really miss checking in on the other blogs to see the daily nails. Still, I've found lots of lovely blogs to follow so I'll keep reading them! Essence 'A Lovely Secret', Catrice 'The Pinky and The Brain'. I used two coats of Fearne black and then dobbed on large spots with Lavenbaby. 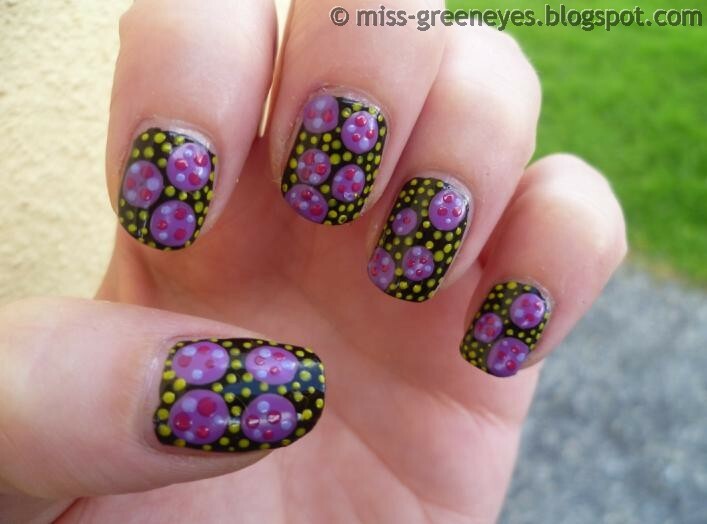 Then I used skewers for the tiny dots and used a different skewer for each colour. They're super bright in reality and I really like how they turned out. 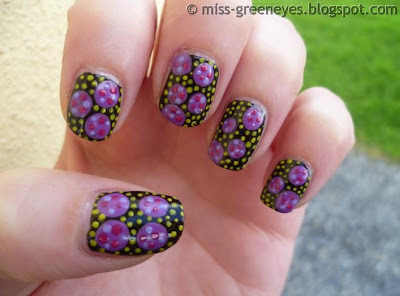 I love dots on nails, and yours are looking really cute! Oooooooooo original! Somewhat reminiscent of aboriginal art! Me like! Brilliant! My dots are always so boring haha!